A strong branding for a small business can affect the sustainability of the company as well as the impression that consumers will have about its product and/or service offers. There are a lot of clothing brands that offer a variety of clothing options to consumers. In this kind of saturated and competitive market, you need to have an outstanding identity and presence so you can be recognized by the people that you would like to impress. If you own a clothing company, you need to make sure that you are fully aware of the branding design that you will incorporate to your business. Just as how food branding ideas give focus on the image of food products, clothing branding designs also ensure that there will be proper identification and perception when it comes to the clothing products being sold by businesses. Branding design helps in promoting the identity of a clothing brand or company. It allows a business to ensure that all the visuals and tools used in disseminating information about their products are related to the objective and goals that the business would like to achieve. Listed below are some of the best clothing branding design guidelines that can be helpful in the process of your clothing business’s brand development. A lot of successful branding tips will tell you to create a brand that is original or unique. There is nothing wrong if you want to have references from the branding designs used by your competitors. However, keep in mind that you should not copy nor reflect those. Being unique can make you brand more memorable. More so, it can help you build the image that you would like people to remember when your brand is mentioned. 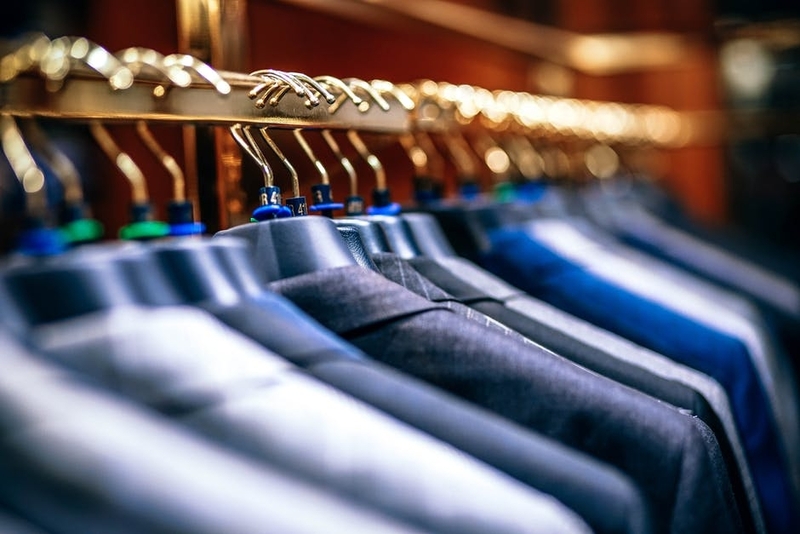 Once you are already knowledgeable of the characteristics of the market that you will give focus on when designing your clothes and presenting your brand, you must now create key pieces that can provide the needs and wants of that particular market. Even if you are focusing on a specific market niche, the individuals within that niche also has a variety of fashion sense and wardrobe needs. With this, you have to make clothes that can represent the brand without sticking to just one clothing design formula. Provide variety while basing your aspiration on the consumer’s demands and on how your business can supply those. There are people who buy clothes not only because of the overall look of the clothing pieces but also because of the brand where the clothes came from. This is what you should aspire to be as a clothing business. You need to be credible enough so that more people will patronize your products. Being able to create a culture through your brand can help your clothes be a necessity more than a want. This means that you can reflect the personality of the people who will wear your clothes which is very important nowadays especially when considering self-expression. Keep in mind that a clothing branding design is more than having the best logo design. This is the reason why it should not stand by itself. It should be a part of a comprehensive sales plan that involves all the areas of the business. Your branding identity should be related to the business and its brand promise so it will be easier for you to reach the market that you want to penetrate. Through an organized and complete sales plan, you can properly identify whether your branding plans are appropriate and efficient to be used. Your ads can reflect the aesthetic of the clothes that you offer. People nowadays are more interested with clothes that have back stories. Creating a character that can be seen and felt by your consumers can make your clothes have more sales potential. The activities that you implement when it comes to company-imaging through the help of successful corporate branding tips can affect the perception of people about your brand and your business. What can help you a lot when it comes to providing an effective clothing branding design is the consistency that you can showcase to your consumers. You must assure that all the activities that you will execute are cohesive with one another. More so, you should maintain the image that you have shown to your loyal consumers. Improvements may be done through time but these improvements should still be based on the core of your brand. You should also keep on learning when creating a clothing branding design. Be familiar with the current trends that are circulating the industry and pick a few design ideas that you can interpret based on your branding. Being keen with these details will allow you to develop your brand identity while ensuring that you are aware of the current needs and wants of your market. Once you have already mastered the usage of clothing branding designs and a few branding principles, it will be easy for you to present your new offers without losing the identity of your brand. Through the guides listed above and a number of readily available clothing branding design samples that you can refer to, it will be advantageous to the company to take your branding initiatives and activities to the next level.